It really ticks him off. Democrats and housing advocates bestowed the title on Mnuchin after he was named by President Trump to serve as Treasury Secretary. They accused Mnuchin of having profited from the 2008 financial crisis by foreclosing on thousands of distressed homeowners while he was owner of housing lender IndyMac, which later was renamed OneWest. It's an accounting Mnuchin vehemently disputes. 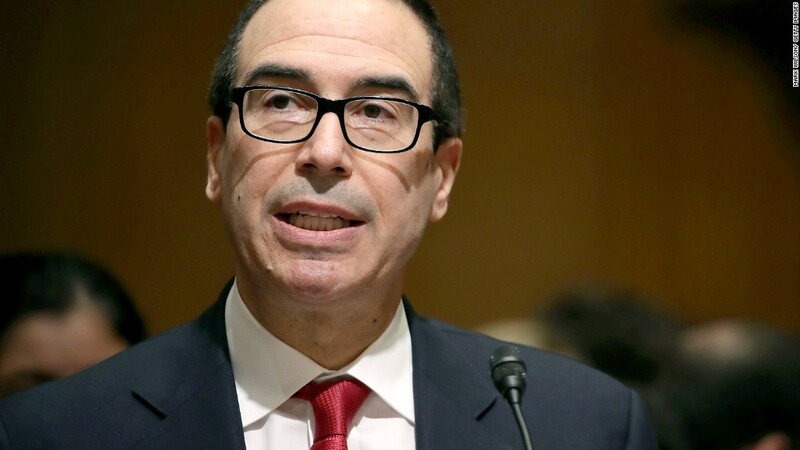 "I didn't make one mortgage during or prior to the mortgage crisis," said Mnuchin while testifying before the House Financial Services Committee on Thursday. "I take great offense to anybody who calls me the foreclosure king," the former Goldman Sachs banker rebuked. "I don't think you even know what the definition of robo-signing is," Mnuchin quipped. "You don't know what I know," Ellison punched back. Rep. Maxine Waters, the top Democrat on the panel, interjected to ask if Chairman Jeb Hensarling "Would like to give the secretary an opportunity to apologize to Mr. Ellison?" But Mnuchin refused to bite. "I'm not apologizing to anybody because robo-signing is not a legal term and I was being harassed." The exchange was just one of several testy moments captured throughout Thursday's hearing, demonstrating Democrats increasing frustrations with the Trump administration. At the outset of the three-hour hearing, Hensarling read out the rules of decorum to members of the committee on how to treat witnesses. It was a life preserver to Mnuchin, who was quick to cite those rules while Waters pressed him on why she hadn't received a response from him on her request for information on the president's financial ties to Russia. "Mr. Chairman, I thought when you read the rules you acknowledged that I shouldn't be interrupted and that I would have [time]," he said. That prompted Waters to retort: "What he [Hensarling] failed to tell you was you're on my time. I can reclaim it. He left that out, so I'm reclaiming my time." But that didn't seem to stop their skirmish from boiling over. "Perhaps Mr. Chairman I don't understand the rules because I thought I was allowed to answer questions," Mnuchin said speaking over Waters, who shouted "Reclaiming my time!" Waters is leading a group of House Democrats who have requested Treasury Department to disclose any financial ties between Russia and President Trump, his family and allies. They sent a letter dated May 23 to Treasury requesting information, which has gone unanswered. Mnuchin eventually replied that his general counsel had spoken to Waters' office yesterday. "You did not respond. You left a message," said Waters. "Let's keep going."